Style Council of NYC specializes full service in custom artwork, hand painting, CAD, graphics, digital fabric printing, yarn dyes, trend forecasting, and original print designs for clothing and home. To learn more you can contact them Stylecouncil.com. Here are some recent Summer Junior graphic print inspirations boards. This board represents the free spirited girl who is always ready for an adventure. Butterflies, dream catchers, daisies, and 60s inspired graphics helps this cool bohemian girl express herself in a fun and organic way. It's all about Peace, Love, and Happiness! This board is for the Rock & Roll Princess who likes an edgy look that still has a touch of femininity. 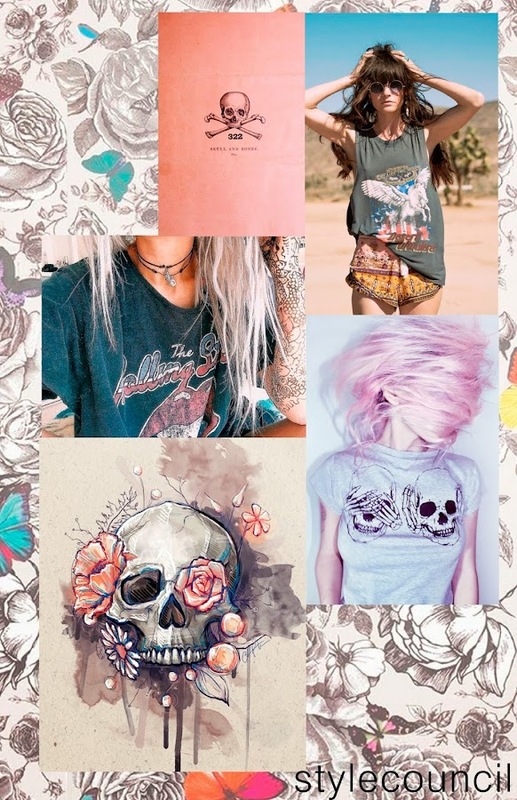 Skull motifs mixed with delicate florals and a soft color palette help to create that girly rocker look that is sure to break some hearts. Our wolf trend board is for the fearless girl who isn't afraid to take a fashion risk. She is an animal lover at heart, with a tough girl vibe. 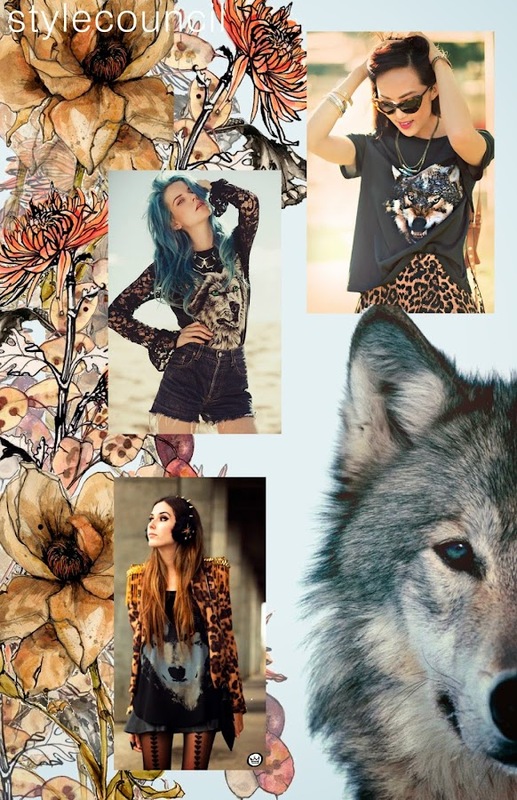 Realistic wolf motifs mixed with flowers and texture help bring this graphic trend to life!